A re-housing project for the Law Library which involved devising the construction of tailored boxes and temporary wrappers. Because this was a phasing operation the term ‘phase box’ was coined (Fig 18). For the Orientalia Department’s collection of Persian binding covers, which lacked text-blocks, ‘flip flop’ boxes were designed to accommodate the fragile and extremely ornate covers. 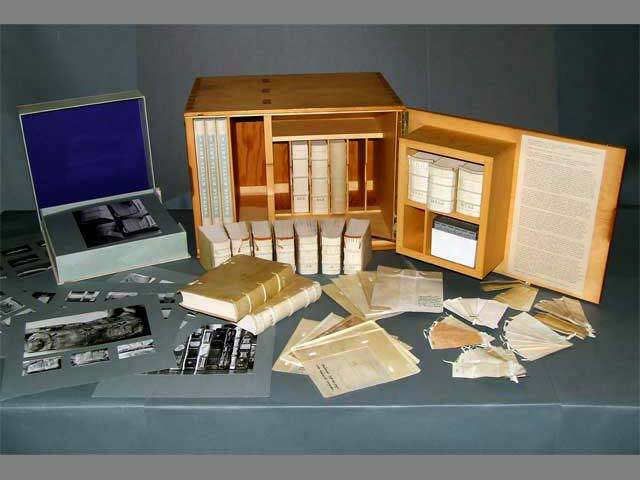 The box design and construction enabled the exterior of a cover to be viewed, and, by closing and reversing the box, the interior face; without the reader having to touch the fragile binding (Fig 19). 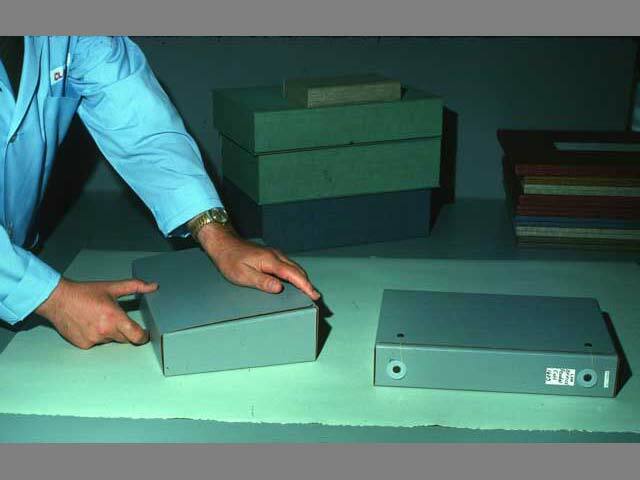 With Don’s help contacts with suppliers and manufacturers were established and close collaboration achieved the higher standards acceptable for conservation purposes, an example of which was the first archival boxboards. Early collaboration with the young papermaking couple Kathryn and Howard Clark of ‘Twinrocker’, resulted in the development of a stronger and more sympathetic paper for endleaves. Later we worked with Timothy Barrett, on his return from Japan, to obtain repair papers and also to develop a cover paper suitable for limp and semi-limp bindings. Other aims were to improve bookcloth and leather quality. 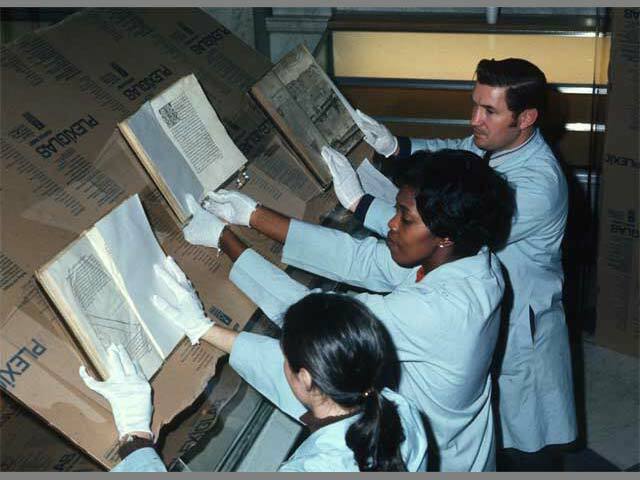 In late 1972 the Exhibition Department at the Library approached Chris with the problem of fitting eighty books from the Rosenwald Collection into the only available cases (Fig 20). 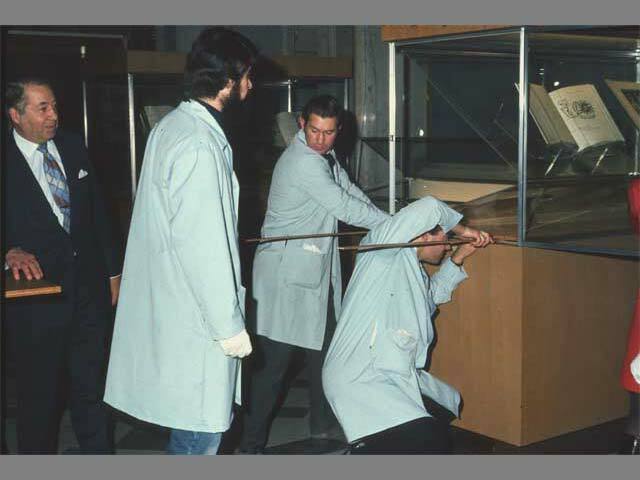 In response to this challenge and the preservation teams’ concern about the potential damage to books from the display methods then in use, various innovations were made, which are now standard practice (Figs 21 & 22). It was for this project that Chris utilized Plexiglas instead of cloth-covered card, creating the first plastic book cradles in the world of exhibition display. 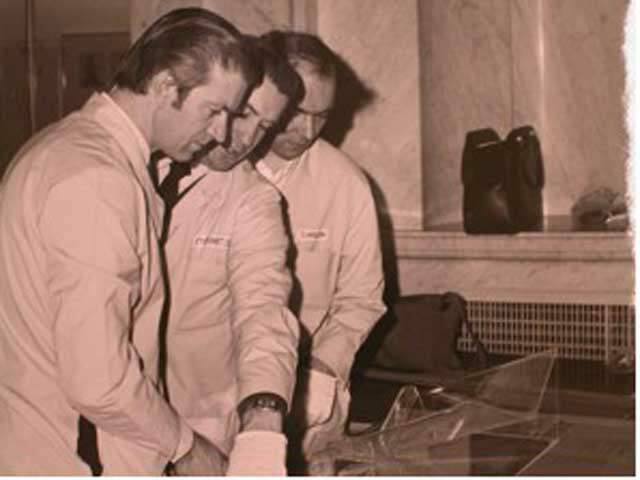 During his appointment at the Library of Congress Chris also carried out various conservation, repair and rebinding projects and furthered his research on binding structures and past repair techniques. To finish his report on Limp Vellum Binding he received part funding from Vernon Clapp of The Council of Library Resources. 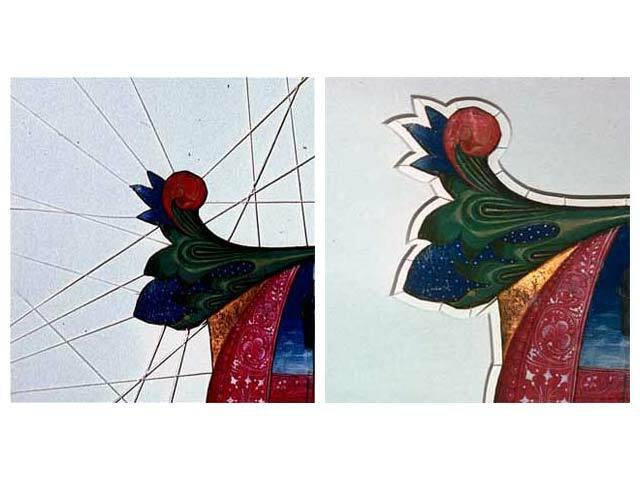 Unfortunately this report (Fig 23) and the film mentioned previously were never published, however Chris gave a paper at ICON’s 4th Triennial Meeting, Venice 1975 entitled ‘Limp Vellum Binding’ which was published in 1985 by Michael Gullick, a former student of his. A revised edition was published in 2005 (and is available for online purchase, click for info & sales). Through the auspices of John Krill, then of the National Gallery of Art, Chris was approached to work on their Rosenwald cut-out miniature collection. It was this project where he innovated a thread mounting technique for the housing and display of single leaf parchment. The technique utilizes the principle that twisted thread shortens and lengthens in environmental fluctuation opposite to the expansion or contraction movements of parchment (Fig 24). This work culminated in a small jewel-like exhibition at the Gallery. 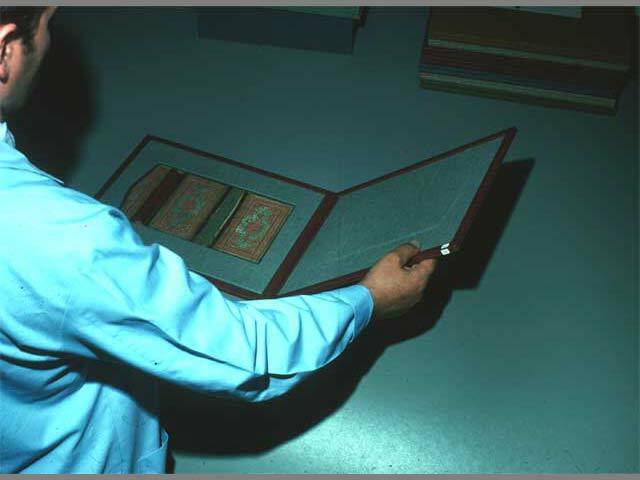 He also carried out conservation work on the Freer Gallery’s collection of Islamic manuscript fragments.